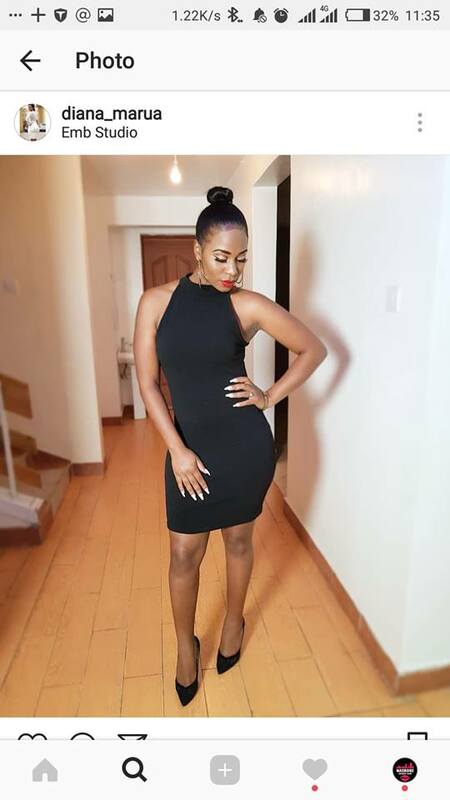 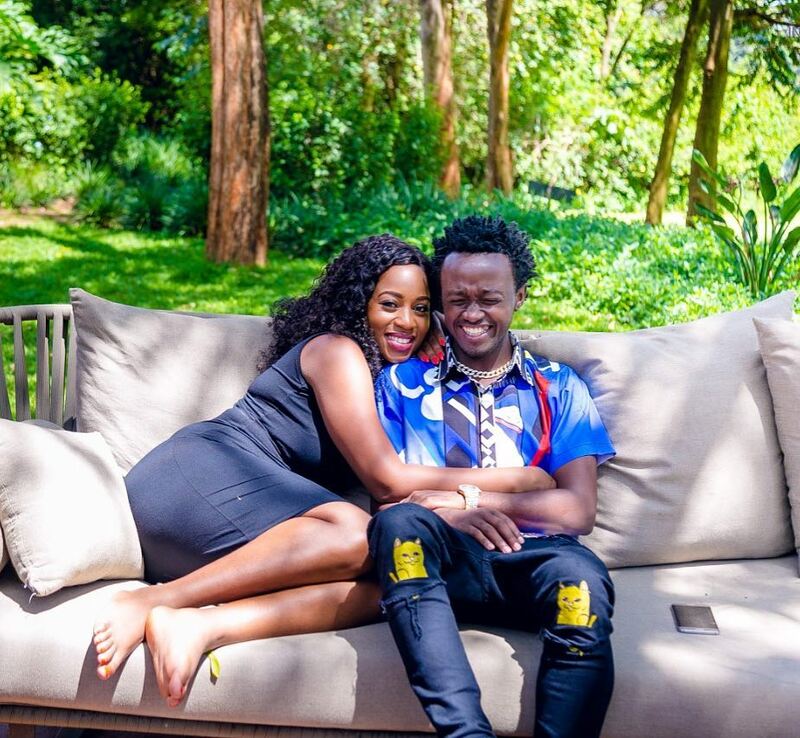 Bahati and Mr Seed have recently become one of the trending stories on the internet after the two reportedly split up in terms of friendship. 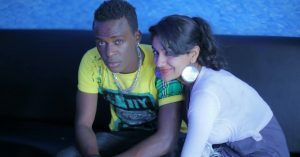 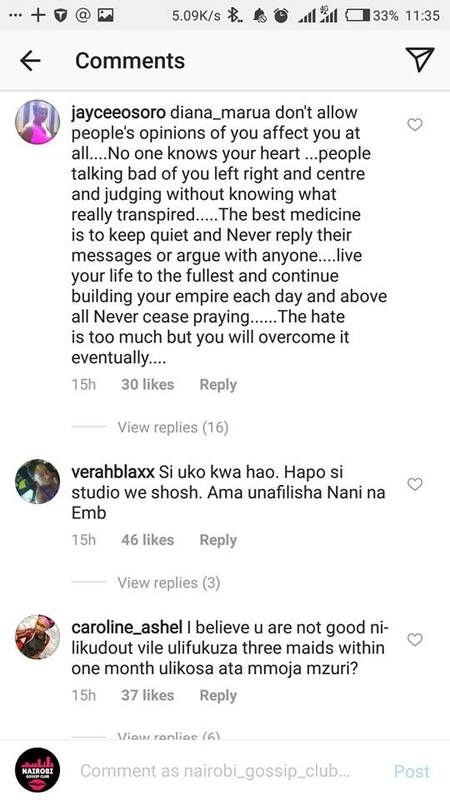 Mr Seed also went ahead to leave Bahati’s EMB records. 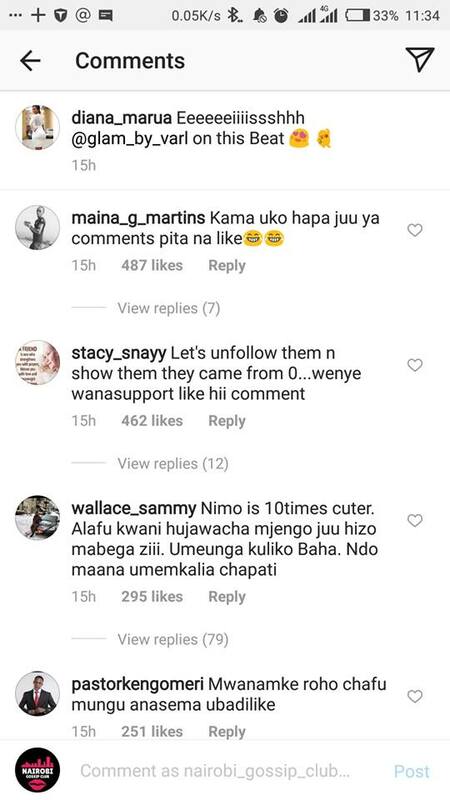 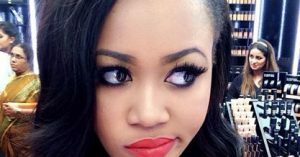 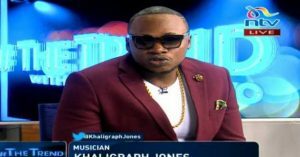 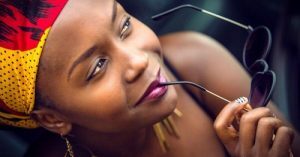 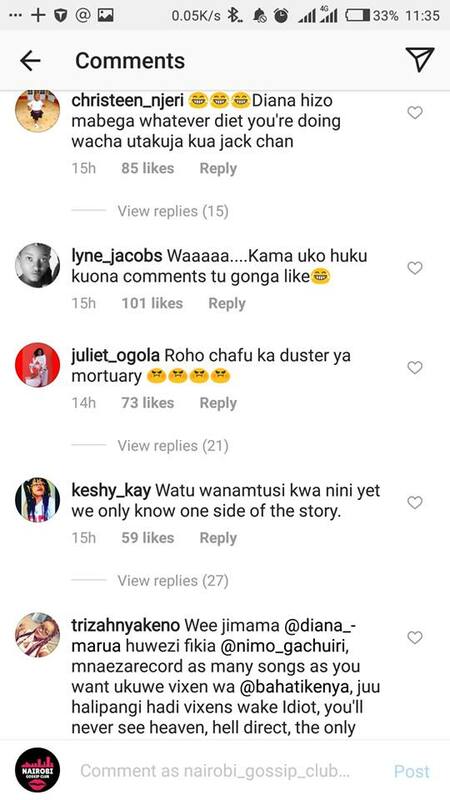 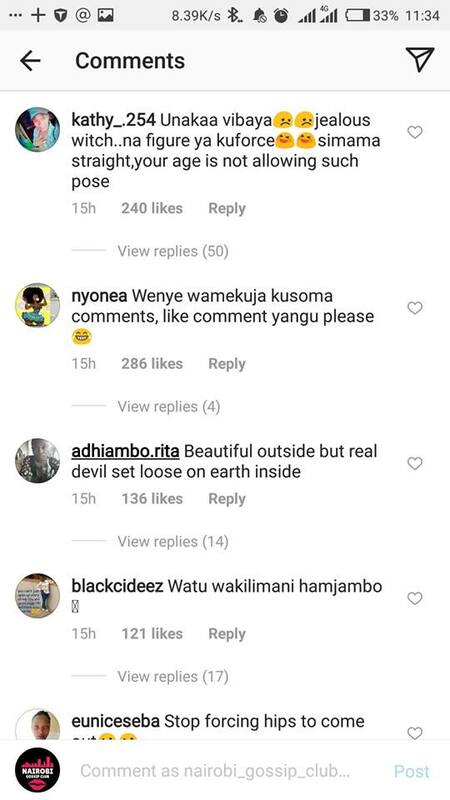 The two have not really talked openly about the incident but fellow gospel artist Ringtone went ahead to spill the beans on Chipukeezy’s tv show throwing all the blame on Bahati’s wife Diana Marua. 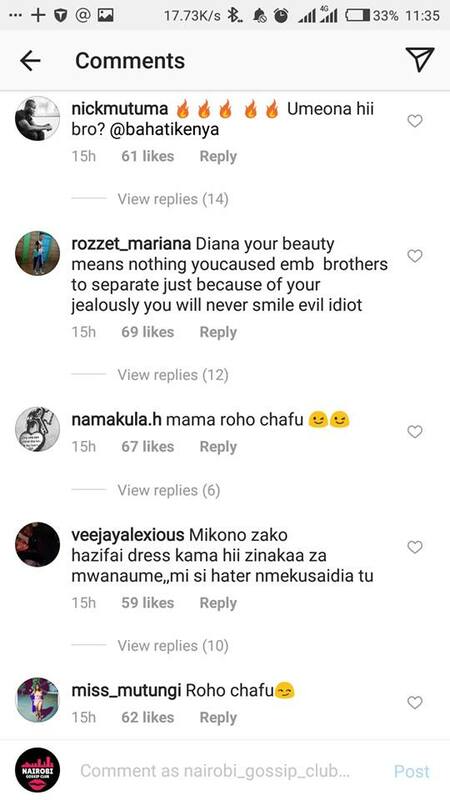 After watching the interview, fans went ahead to attack Diana on her Instagram account. 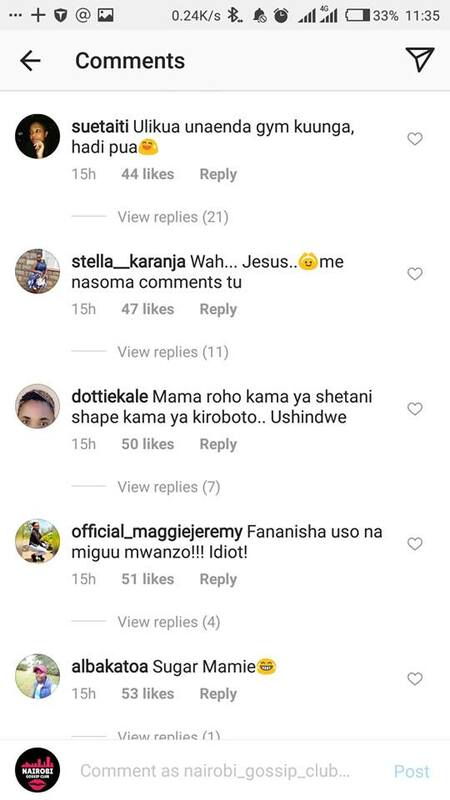 Here are some screenshots of some of the nasty comments left behind.